In our world of everyday email communications it is hardly handy to have the GP email address tucked 2 clicks away from the customer master! We've made a simple, free, Dynamics GP addon that puts it right where it should have always been: right on the customer master! In Microsoft Small Busines Financials when you click on an email address it will pop open Outlook send message window. 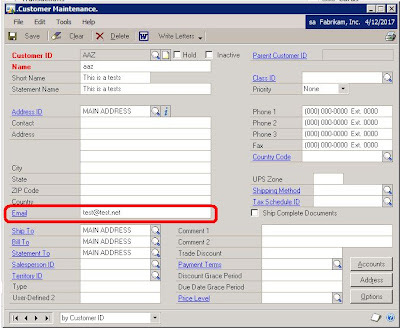 In Dynamics GP the email needs to be prefaced with "mailto:" for this to work. Our great GP Consultant, Japheth, has made a small customization package to make clicking on an email address work like most people would expect. All software developers hope that after a major release there is no urgent need for a hot fix. I had hoped so also - but today we released a Hot Fix for SmartConnect 2010. FACT: ISV's are a pain in the rear. As a long time GP VAR I understand where this comment comes from. I myself for some time worked on the motto "if you can find a way not to sell an ISV product, then don't". This thought process is driven by the principle of keeping things simple. Simple things work. Successful projects are simple. Lets keep things really simple and all will be good, business will grow! I would like to be bold and challenge this mentality. If all we do as VAR's is the status quo and implement out of the box, simple GP systems then we opening the door for the competition. Why would we as VAR's let Sage, Accpac, SAP, NetSuite get a sniff of our market? We have a great market, loads of prospects and a great client base. If all we have to offer is an accounting system that has been around for awhile - we have nothing to offer the market. We will be overtaken eventually. Straight Arrow Consulting, Inc. has made Advanced RMA Entry R2 available for download and evaluation. 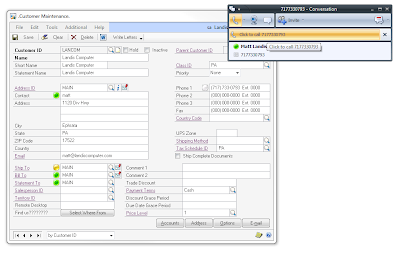 I discoverd this week that one of our very best resellers had never implemented the Excel data entry Templates for SmartConnect. This reseller sells SmartConnect on every deal, but had never had time to get around the templates. This week I was given the opportunity to see the offering from Enliven Software that can help you streamline your payables and receivables functions using Dynamics GP. 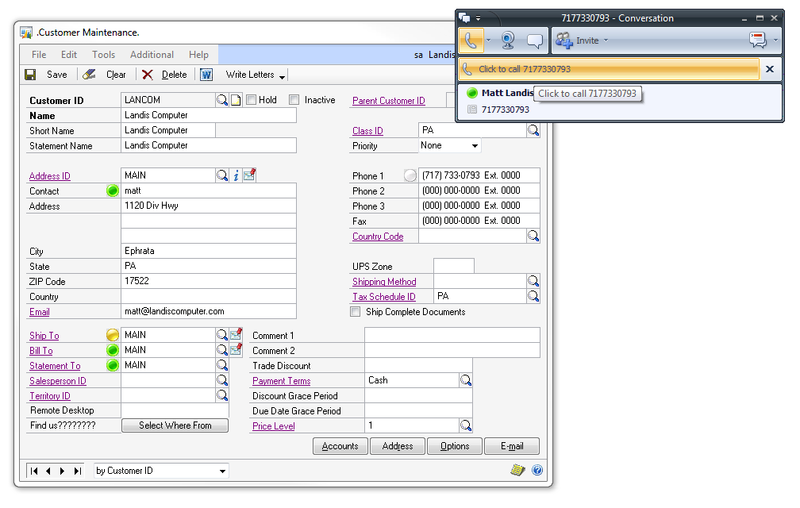 When our clients are looking for sales commission calculation functionality in GP, we usually specify the Commission Plan module from Ethotech. We have found it to be quite flexible and capable of handling most of the commission calculation issues we find. Finally a Dedicated Partnersource Page for ISV Solutions! The Microsoft Dynamics Partner Community Blog has announced the release of the Microsoft Dynamics ISV Playbook. This guide now joins the Microsoft Dynamics Partner Playbooks for ERP and CRM Partners. These documents provide partners with information and links to the most current tools and resources available for Microsoft Dynamics.